NEW YORK STATE (August 10, 2015) – A record 92 percent of New Yorkers are buckling up and regularly using seat belts. This is the sixth consecutive year that seat-belt use has stayed at or above 90 percent, according to the New York State Seat Belt Observation Survey, conducted each year by the University at Albany Institute for Traffic Safety Management and Research. New York was the first state to enact seatbelt laws in 1984. New York is a primary enforcement state, which means a law enforcement officer can stop a vehicle and issue a traffic ticket for failure to wear a seat belt without observing another violation. Failure to wear a seat belt carries a fine of up to $50. Nationally, seat belt use in 2014 averaged 87 percent, according to the National Occupant Protection Use Survey (NOPUS), conducted annually by the National Center for Statistics and Analysis of the National Highway Traffic Safety Administration (NHTSA). New York was among only 19 states and the District of Columbia with seat belt use rates of 90 percent or higher. The 2014 NOPUS found that seat belt use continued to be higher in the states with primary seat belt laws compared to “secondary law states” where law enforcement can only write a ticket if they have stopped a vehicle for another alleged infraction. The announcement of New York’s record seat belt compliance follows several recent statewide educational and enforcement initiatives to increase seat belt use by drivers and passengers. In July, the State Police and New York State Parks Police partnered for the 2015 Buckle Up New York in the Parks, or BUNY in the Parks, an enforcement and educational campaign to encourage visiting motorists and passengers to properly buckle-up their seatbelts. This year the National Park Service Law Enforcement Division also participated in this campaign, which ran from July 11-26. The State Police and State Park Police conducted joint details on Long Island and in the Hudson Valley. The campaign resulted in 499 tickets issued for adult seat belt violations and 1,220 for child passenger safety violations. From May 18-31, New York State participated in the national Click It or Ticket enforcement mobilization. As part of this effort, the New York State Police, county and municipal law enforcement agencies in marked and unmarked vehicles aggressively ticketed unbelted drivers traveling the state’s roadways through checkpoints and roving details. Nearly 25,000 tickets were issued for adult seat belt violations and nearly 2,500 for child passenger safety violations. At Governor Cuomo’s direction, the State Department of Transportation (DOT) and the Thruway Authority coordinated variable message boards with "Click It or Ticket" messaging on roadways throughout the campaign. Also in May, the GTSC partnered with Ford Driving Skills for Life and conducted a Battle of the Belts competition at the Niagara County Traffic Safety Fair. Battle of the Belts is a fast-moving competition similar to a relay race in which teams of four teens see who can buckle-up the fastest. Education and enforcement of seat belt use were also part of GTSC’s No Empty Chair campaign in April. The comprehensive traffic safety campaign focuses on teens during prom and graduation season. 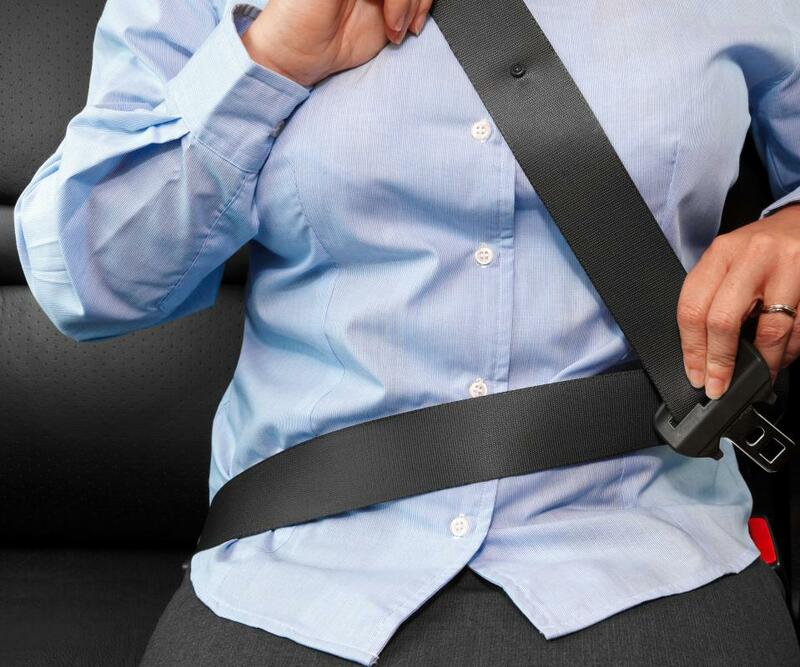 According to NHTSA, there were 9,580 unbuckled passenger vehicle occupants killed in crashes nationwide in 2013. Additionally, the New York State Department of Health (DOH) estimates that nearly 700 unbelted motorists per month are injured severely enough to require hospital treatment. For more information about New York’s seat belt law, click here.